Multi-function Vegetable Cutter Machine is made of stainless steel and suitable for all kinds of root, stem, leafy vegetables, such as cabbage, celery, leek, spinach, shallot, cucumber, carrot, radish, potato, etc. This vegetable processing machine can cut vegetables into different nice shapes: dice, slice, diamond, and curve. The thickness is uniform and adjustable. 1. Multifunctional vegetable cutting machine is made of high-quality stainless steel, up to the standard of food sanitation, and easy to clean. 2. High work efficiency, simple and easy to operate, and thickness is uniform. 3. 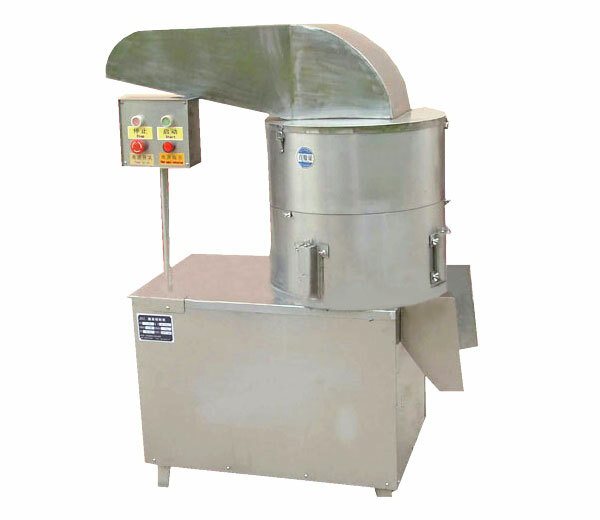 Convenient to maintain, well adjusted, is ideal vegetable processing equipment. 4. 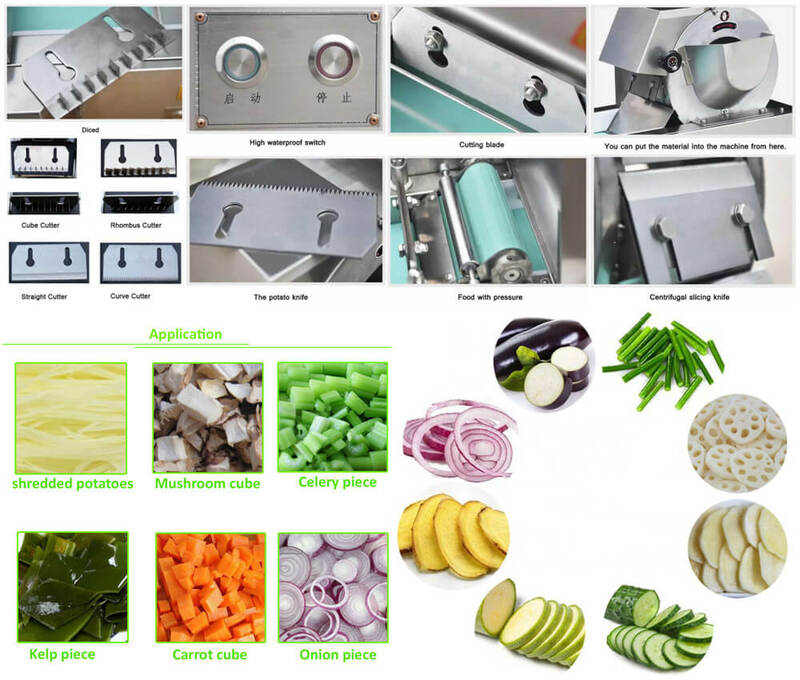 Vegetable cutter machine is suitable for all kinds of root vegetables, stem vegetables, leafy vegetables, such as cabbage, celery, leek, spinach, shallot, cucumber, carrot, radish, potato, sea-tangle, bean products, etc. 5. This machine can cut vegetables into different nice shapes: dice, slice, diamond, and curve. 6. Wide business range: It is the most ideal equipment for fruit and vegetable processing factory, frozen food processing factory, leisure food processing factory, brewery, western-style food shop, etc. 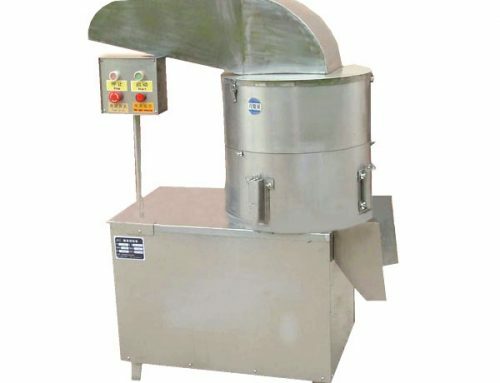 The centrifugal section is used for hard vegetables. It can adjust itself within limits automatically. The vertical knife can cut soft leafy vegetables or the cutting-off pieces into different specifications of the block, dice, the diamond, and various shapes. Because vertical knife simulates manual cutting principle, the processed surface is smooth; the shape is regular; the cutting-off vegetables is fresh and its organization is in nice condition. 1. Please tell us which kinds of vegetables to process.